The Community Planning and Development Commission (CPDC) had an initial site plan review for a proposed 40R mixed-use building at 467 Main Street, the 18,000 square foot site of the current Sunoco gas station. The developer, Boghos Properties, LLC, proposes a building with 2500 square feet of retail space on the first floor and three floors containing a total of thirty residential apartments. 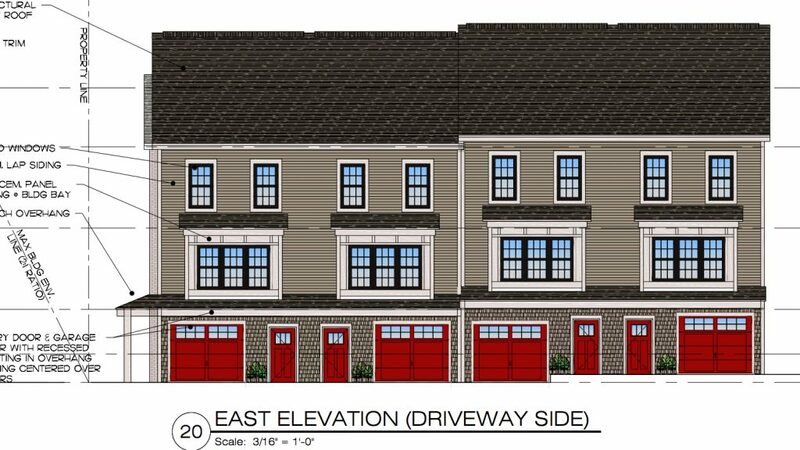 Twenty of the apartments would have two bedrooms and ten would have one bedroom according Attorney Rob DeSalvio, representing the developer. Eight of the units would be listed as affordable. A parking garage with thirty-seven spaces would share the first floor with the retail space. The side of the proposed building facing Main Street will have details inspired by the M.F. Charles building which is up the street from the new development. 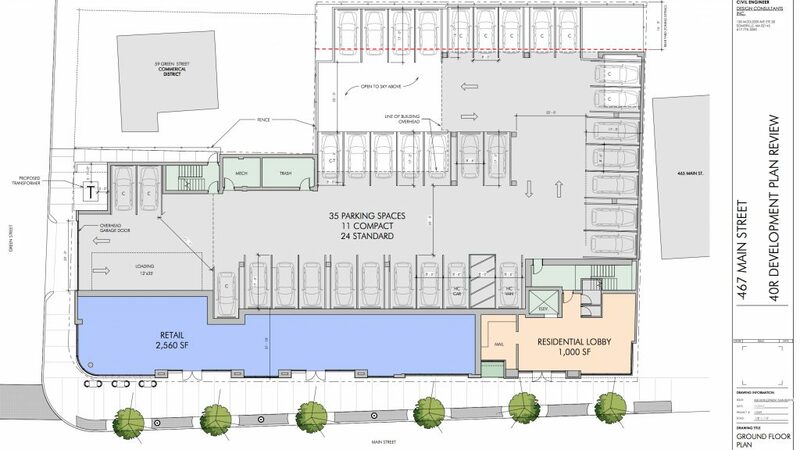 The rear setback from the adjacent residential property will be fifteen feet on the first floor increasing to thirty-five feet on the third and fourth floors. The fourth floor will have a clubhouse for use by residents as well as a roof deck. The developer also proposes two to three on-street parking spaces in front of the new building. Boghos Properties will be seeking several zoning waivers for the project, including one for the proposed forty-eight foot height of the project. CPDC chair Nicholas Safina expressed concern over the percentage of compact car parking spaces in the proposed garage, stating that the board prefers that only 30 percent of the spaces be for compact cars. 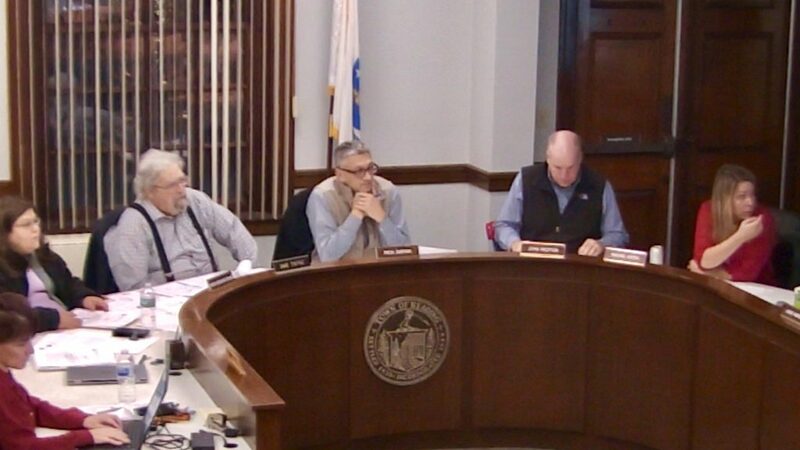 Selectmen Barry Berman, who attended the meeting, also stated concern over the lack of parking for the retail space. “We don’t want to set up businesses to fail.” Berman suggested. The project also falls short of the required 1.25 parking spaces per unit as required under the 40R zoning bylaw. The developer will explore options on improving the parking situation. 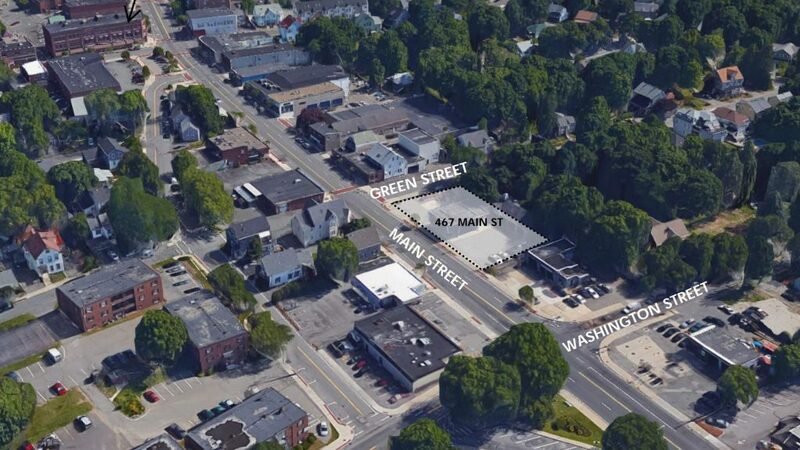 The Board of Selectmen will need to approve the placement of the proposed entrance to the garage on Green Street because it is within fifty feet of the intersection with Main Street. The selectmen will also have to approve the on-street parking spaces. CPDC members also expressed concern about how snow would be removed from the uncovered section of the parking garage in the rear of the building. Safina suggested that several of the apartments would be more appealing to potential residents if there were balconies included for the units not facing the residential neighborhood. CPDC continued the hearing to January 8 at 9:00 PM. CPDC met with representatives of the Johnson Woods development regarding the repositioning of two buildings in the approved plan to slightly different locations. If the new plan is not approved, the already-poured foundations of the new buildings will have to be removed. 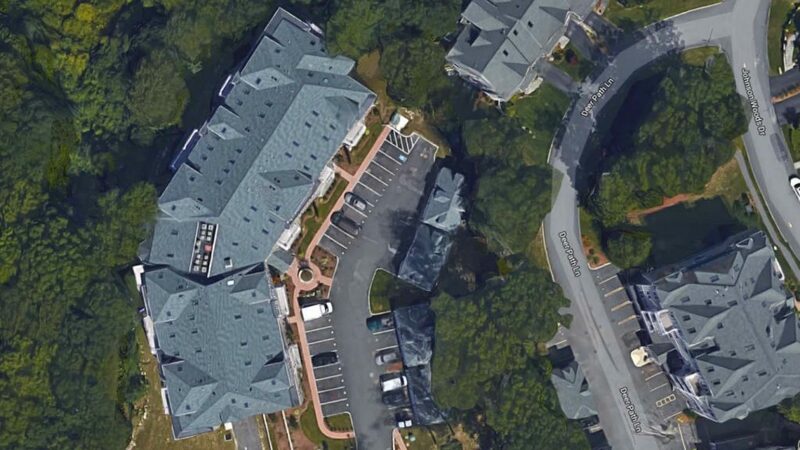 CPDC took the opportunity to ask the Johnson Woods Realty Corporation to address the parking situation for the multifamily buildings at the development. Many residents have complained that parking spaces are smaller than the nine-foot wide spaces provided for in the approved plans for the project. The hearing was continued to January 8 at 8:30 PM. 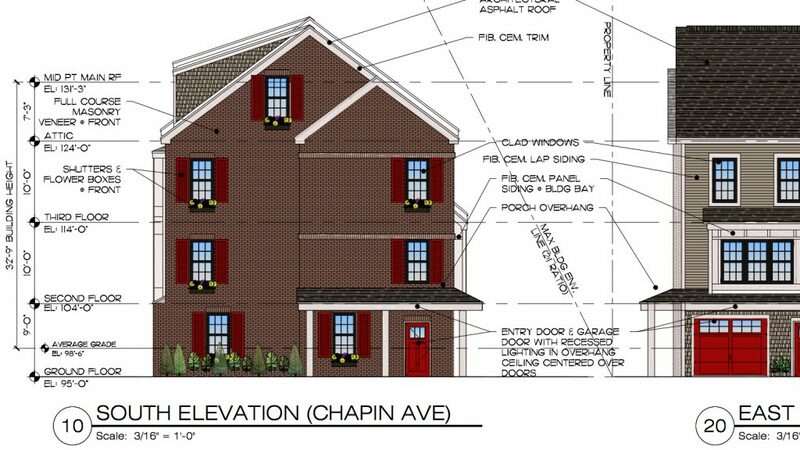 The hearing for a proposed four-unit townhouse at 14 Chapin Avenue continued with the project’s architect from O’Sullivan Architects sharing changes that have been made since the hearing began on October 6. The building has been shifted three feet towards the side of the property that abuts the Mission of Deeds parking lot, giving three more feet of width to the driveway. The height of the building has been reduced to 32 feet, which is now in compliance with the bylaw. The dormers have been removed from the side of the building facing the residential neighborhood, reducing the perception of the mass of the building. Several members of the CPDC expressed concern about fitting the building into the site. “Functionally it does not work.” explained CPDC member John Weston. “The site does not support four units.” CPDC member David Tuttle continued. Safina recommended that the developer, Leonard Polonski, and the architect think outside the box for site redevelopment. The hearing was continued to January 22 at 8:30 PM. The CPDC adjourned at 11:05 PM.